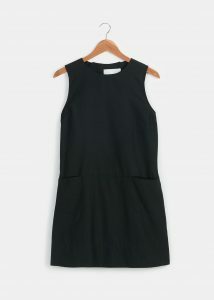 This sleeveless silk dress is comfy yet sophisticated, especially when paired with a turtleneck and tights. Thoughtful details such as the button back and two front pockets make it fun, while the timeless A-line silhouette keeps it classic. 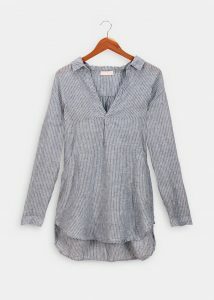 This rugged linen tunic riffs on the classic men’s collared shirt but has some unmistakably feminine flourishes. 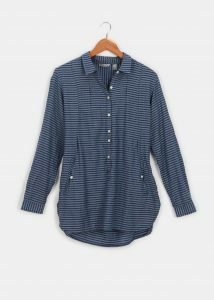 Cut from crisp chambray linen, it boasts a half-placket collar and sleeves that roll up with ease. Oversized pockets will hold all of your most important things (lip gloss, phone, keys, and more). Dress it up for Sunday brunch with friends by adding a low-slung belt, slim-fit jeans, and ballet flats. 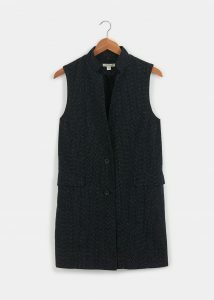 For work or weekend, this two-pocketed long vest pulls together your entire look instantly. The unique pattern is created using kasuri, a traditional Japanese dyeing technique in which the organic cotton is irregularly dyed to create an individual look. Feel feminine, flirty, and fully covered all at the same time in this top. The buttoned waist pockets are functional and flattering, and three back buttons with loops allow you to adjust the fit for maximum comfort. 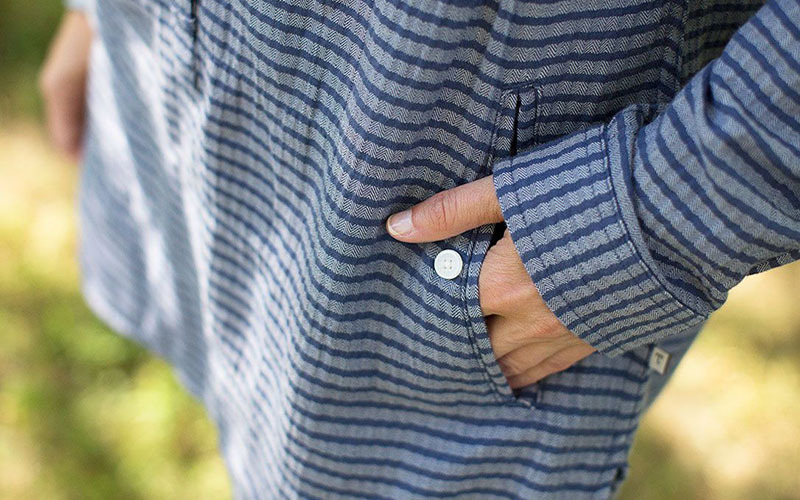 It’s the perfect shirt for days when you need a little warmth and a lot of style. 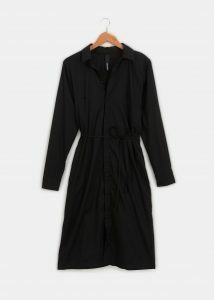 On those mornings you can’t decide what to wear, the classic shirtdress is always a great option. This straight, button-down style is polished yet fun, with intriguing back pleats, side-seam pockets, and a fabric belt to help define your figure. Find more dresses, shirts, tunics, and vests with pockets at Rodale’s. And while you’re there, check out our new fall catalog.